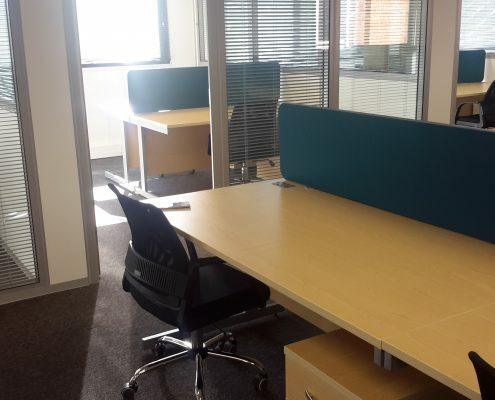 FI Real Estate Management came to us for a new office installation when needing some new furniture for an extension to their offices. FI Real Estate Management deal with asset and property management. They have 300 staff and over 30 years experience, and 100’s of customers entrusting them to protect their assets and property. From customers in retail/shopping centres to offices and industrial and encompassing residential and leisure. 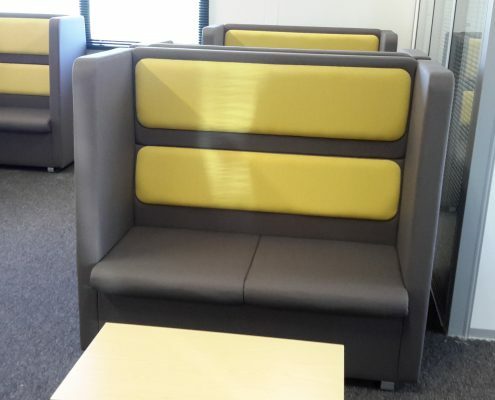 We supplied furniture for a breakout area, a large office area and several offices off the side, we are currently working on a reception area to add also. The desks used were sirius straight desks on a cantilever frame with matching under desk mobile pedestal. See the collection of desks here. The screens used were blue Flite screens. 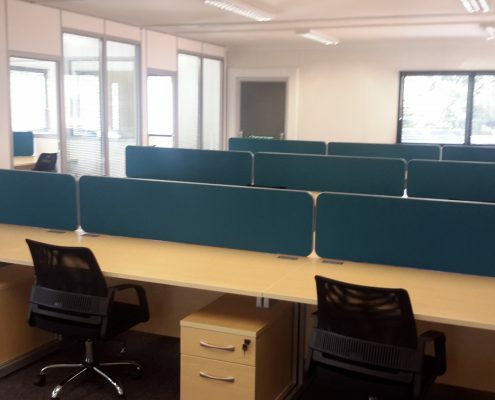 View this link to see the selection of office screens available here. The chairs chosen for the offices were a black mesh back operator chair with fixed arms and chrome base. Take a look at our selection of operator chairs here. 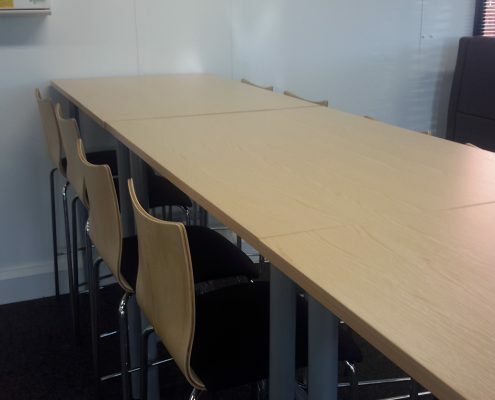 In the breakout area we used solid wood Poseur tables with wood back upholstered seat stools. We also used high back sofas in grey and green fabric with small coffee tables in between. At Bevlan we always make the effort to listen to our clients needs and wants. 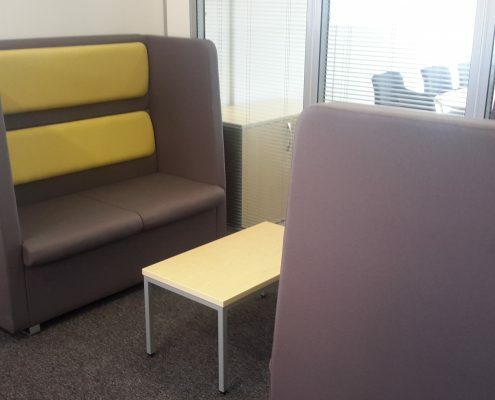 We love to learn more about each company we supply furniture to and design the look and layout to suit the way of working within your work space. If you would like to meet with our expert staff for a consultation, completely free of charge with no obligation, please get in touch on 01254 876666 or email info@bevlan.com to see what we could create for you.